On March 26, 2014, Law 4250/2014 came into effect. 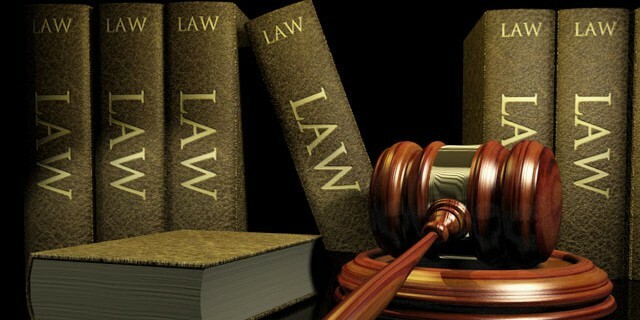 Said Law, with the title «Administrative Simplifications – Terminations, Mergers of Public Sector Legal Entities and Agencies – Amendment of the provisions of Presidential Act 318/1992 (Α’ 161) and other regulations», aims to simplify the Public Sector’s operation and efficiency. A new strategy is now pursued in Greece, so as to simplify the way the public sector functions, reinforce investments and not discourage civilians due to bureaucracy. Law 4250/2014 is an attempt towards this direction. One of the most significant regulations of the aforementioned Law, which will affect our every day life and which is worth addressing, is the termination of the mandatory filing of original and certified copies of documents from civilians as well as business entities in the totality of their business dealings with the State. More specifically, pursuant to Article 1 of Law 4250/2014, instead of original or certified copies, the agencies and offices mentioned in the Law are obliged to accept the submission of plain photocopies of original documents or of certified copies of documents issued by these agencies. The Agencies affected by this Law are the Greek State, the Municipal Authorities, the Public Sector legal entities as well as the Private Sector Legal Entities that are controlled by the State. In other words, this new regulation in essence affects the entire body of public agencies, even agencies that are not of purely state nature, such as Churches, etc. As a result, in regards to Greek public documents, civilians are no longer obliged to submit the originals or certified copies thereof to the public offices but can instead submit photocopies of the originals or of certified copies thereof. A similar regulation is in effect for private documents as well and documents issued by foreign authorities. Specifically, civilians, when transacting with public offices, will no longer be obliged to submit original private or foreign documents, but can submit photocopies, on the condition that these documents (private or foreign) have first been certified by an attorney. Thus, there has to be a copy of the private or foreign document that has been certified by an attorney and then the submission of a plain photocopy will be enough in each transaction with the Greek State (without the need to further certify each and every copy). It must be noted, however, that this simplification does not affect at all the obligation of filing of documents in regards to certifications or authentications that are required pursuant to international conventions or treaties, such as for instance the Apostille authentication required pursuant to the Hague Convention. The submission, on behalf of civilians, in the course of their transactions with the Greek State, of plain photocopies of documents will be subject to the same consequences as the filing of a sworn statement of Law 1599/1986. This means that, in the event of a filing of a forged or fake document, the person submitting this document will be liable for a false sworn statement (imprisonment of at least 3 months and, if the perpetrator intended to derive financial benefit for himself or for a third party by harming another or intended to harm another, incarceration for up to 10 years), while the administrative act that may be issued based on false or inaccurate documents will be immediately revoked. Furthermore, Law 4250/2014 provides for a random sample check that will be conducted by the state agencies to which the plain photocopies will be submitted, so as to determine whether these are genuine and true and in consequence whether the Law has had a positive effect. Specifically, at least 5% of the yearly submitted documents will be checked to determine whether these are true and in the event that they are not, the persons liable for submitting them will suffer the consequences mentioned above. In conclusion, we note that the termination of the need to submit original documents or certified copies thereof when transacting with the Greek State aims to reduce bureaucracy in the operation of the Administration, since the number of certifications performed in Greece up to now has been quite large (35 million annually, as stated in the justifying report of the Law itself), thus causing a waste of time and money for civilians. With this new regulation, civilians will save money and avoid any unnecessary inconveniences, while the Administration is sufficiently protected, not only due to the penalties associated with the use of false photocopies but also due to the checks that will be performed subsequently.